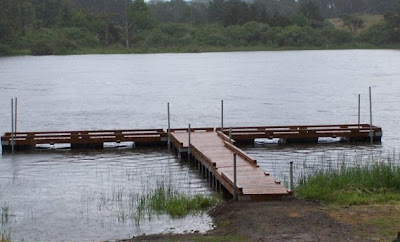 For quite a few months now Swede has been working on a new fishing dock at Camp Rosenbaum. The camp is for underprivileged children from around the State. For many of the kids this is the first time they have been out of the town they live in. The camps councilors are police officers, but they don't tell the kids until the end. 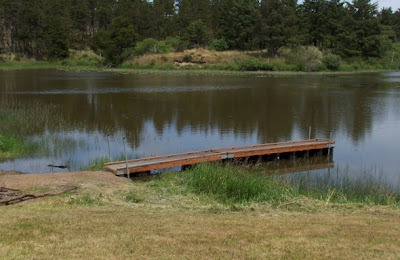 The lake in the backround is stocked with fish and the kids get fishing gear to catch them. 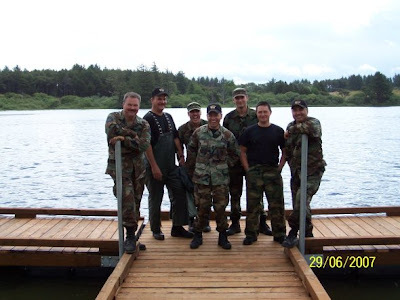 The before photo is what the dock looked like before. Only 3-4 kids could fish at once and there are so many kids that many could only fish for 10 or 20 minutes the whole time they were there. Now many times more can fish at once. Today we met for our second monthly meeting at the Golden Luck. A Chinese place on Bond Street. Wednesday 20th: Kate Grueter, Kaylinn Hack to set up and price items from 11:00 to whenever. Could use an extra person. Should be an easy job. $1.00 items in one area, $5.00 items in another section, etc. Saturday 23rd: Eilleen Cheuvront, (Greg Hamann part of the day), could use a couple more people. I will be at the Pioneer House and also a Sterling Bank event. I will stop by the garage sale somewhere in there if I can. Sunday 24th: Brenda Hunt, Andy Burns maybe. Vance said he would volunteer whenever we need him. Vance, we could use you on any of these days. Let me know which hours you would like to work. I talked about the need for more Leadership and more Committee activity for our Club. Our club is getting to large to only have one person facilitating most all activities. Also discussed a survey that I will hand out at the 3rd Tuesday July Meeting (Going to be gone the first). No names will be required, but I hope we can get some feedback from the members of what our Club does best and what we need to improve on. On another note I talked about a contact I met from the Oregon City Club. They have a food trailer that they take to a few events in Portland. It is only used 3-4 weekends a year and sits in a Garage the rest of the year. We can rent this for a small fee and use it for some of the events around here. The 2007 Clatsop Fair doesn't have any more vendor room. The rodeo is only a few hours long each day and might not be worth the expense and time it would take to bring it down that weekend. The Hot-rod Show in Seaside looks more promising. It starts the 8th of Sept. We may also be able to make fish-n-chips in the trailer and have something a little different than your normal fryer trailer. Our program today was put on by the Regatta Court. Hannah Alley gave a speech on the Coast Guard, Sam Johnson gave a presentation on the 3 Jetties we have on the Columbia and Jessica Hoffman discussed the Astor Column. The Court travels around the Northwest to parades and represents the Astoria Warrenton area. Both with a float and speeches they give. They were recently in the Portland Rose Festival and were on KATU for almost two minutes as the announcers gave personal stories about each. In exchange for representing our area and Regatta, at the end of the year they each receive scholarships averaging close to $2,000. The money comes from the Regatta itself by way of the buttons (entry to the Regatta) they sell to the community. Just put this site together to try and take our Club's Communication and information to another level. I will try to post at least a few times a week. If this turns into something popular for the members, we may be even able to coordinate events, schedules and sign-ups from this site by way of member comments below each article. Also I hope to post the Monthly Newsletter, Board Minutes and other goodies that keep everyone up to date. Also coming soon is some more multi-media functions. Currently I have some YouTube Videos on the left that you can click on and learn a bit more about other Kiwanis Clubs in the Northwest. I forgot to turn on the anonymous comments. Before you had to sign up for a blogger account to post comments, now you can just type your name and message and hit the "publish" button. Our old meeting place is unavailable for the summer. Starting this week we will have to meet in other places. This Tuesday we will meet at the Golden Luck Restaurant, 159 West Bond Street, right between The Pig N Pancake and Wauna Bank. Our program this week will be by the Regatta Court. I will also be doing a short overview involving my trip to Club Leadership Training. For the first time we went to the Leadership training for Zone H, which is Portland area Clubs. I think this will be an excellent change for our club and the others in District 67. Starts at 12 Noon. Hope to see you there!